The Nite Ize KeyRack is as functional as it is compact, versatile as it is simple, and useful as it is (for lack of a better word) cool-looking. 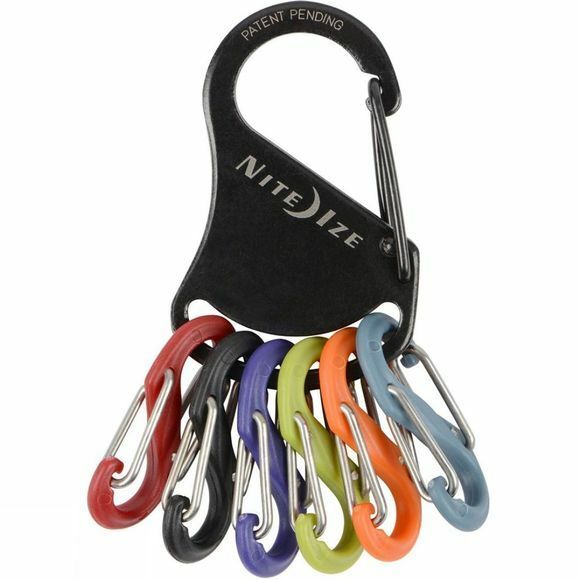 Its high quality stainless steel carabiner clip has a secure gate closure on one end, allowing you to clip your keys to an existing key ring, belt loop, purse strap, zipper pull - anything with a loop or D-ring. The other end holds six different-colored plastic S-Biners, perfectly sized to hold 6 separate keys. 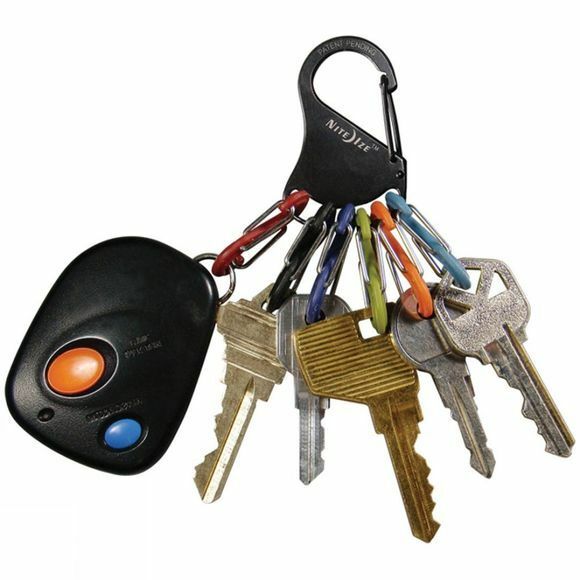 Identify your keys by color, and attach and release them individually from the Key Rack with ease. No more fiddling with split rings or fumbling to find the key you need. The Key Rack is perfect for quick and easy sharing of keys with family members, leaving a key for a valet or babysitter, and taking a single key when you're out on a run or ride.